Moaz al-Khatib, head of the Syrian opposition umbrella, has pulled a second rabbit out of his hat. He pulled his first four weeks ago, when he made a “personal” and conditional offer for talks with representatives of the Syrian regime. That rabbit was promptly returned to the hutch by the collective leadership of the Syrian National Coalition of Revolutionary and Opposition Forces. The second rabbit to come out of al-Khatib’s hat was a hush-hush meeting he is said to have held with Mohammad Hamsho, brother-in-law and longtime front for the shady business of Maher al-Assad. 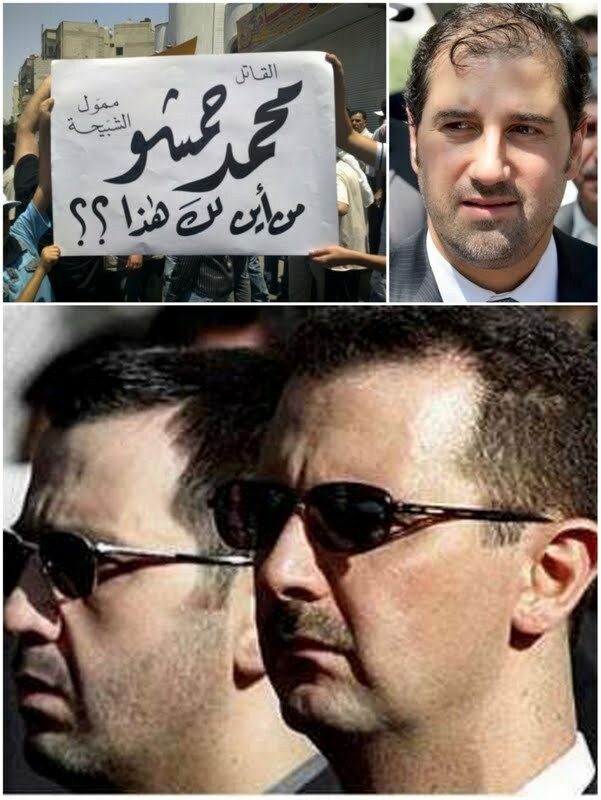 Maher is the most powerful man in Syria after his brother, President Bashar al-Assad. He commands the Republican Guard and the army’s elite Fourth Armored Division. The U.S. Treasury imposed sanctions on Hamsho and his businesses in August 2011. "Muhammad Hamsho earned his fortune through his connections to regime insiders, and during the current unrest, he has cast his lot with Bashar al-Assad, Maher al-Assad and others responsible for the Syrian government’s violence and intimidation against the Syrian people," said Under Secretary for Terrorism and Financial Intelligence David S. Cohen. "The sanctions we are applying… to Hamsho and his company are the direct consequence of his actions." According to the U.S. Treasury, Hamsho “has served as a front to mask a senior Syrian official’s illicit and licit financial and business transactions. Members of the Syrian business community believe that Hamsho is a successful businessman because of his relationship to Syrian elites rather than his business acumen." The Damascus government Sunday described as “untrue” reports about a secret meeting between a regime representative and an opposition figure.